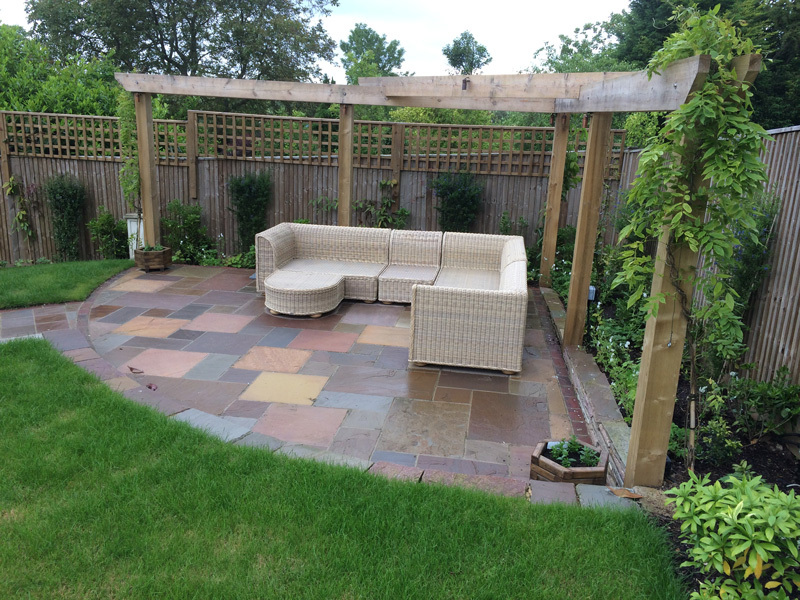 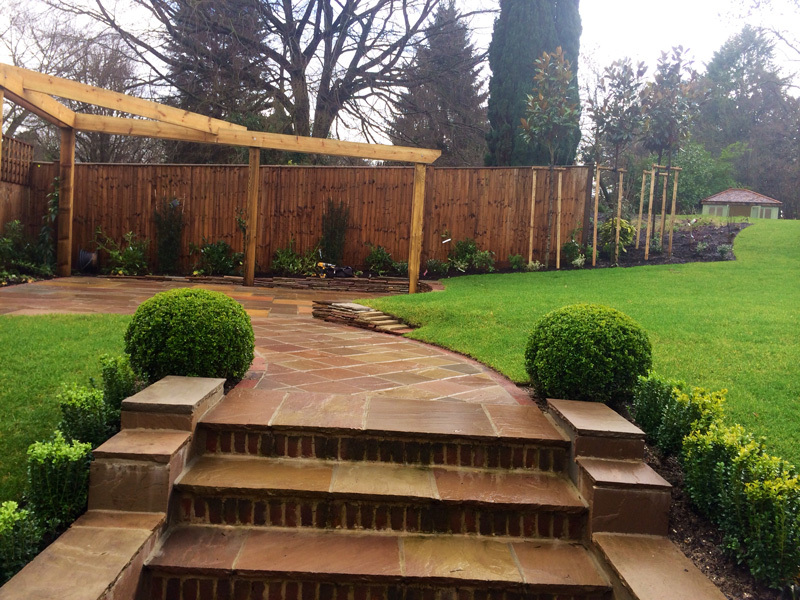 This garden design incorporates an existing terrace to a new water garden, steps, raised sitting area, pergolas and summerhouse, all framed with a balanced and thoughtful planting and an exterior lighting scheme. 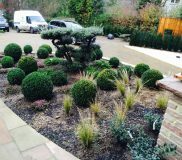 To the front of the property is a recently planted entrance bed which is centred around ‘Plate’ Olive Tree (to be uplit) underplanted with prostrate Conifers, Mixed Sized Box Balls, Winter Flowering Heathers, Sedum and Saxifraga with backdrop of Ornamental Grass, Mixed Herbaceous Perennials and Spring Bulbs. 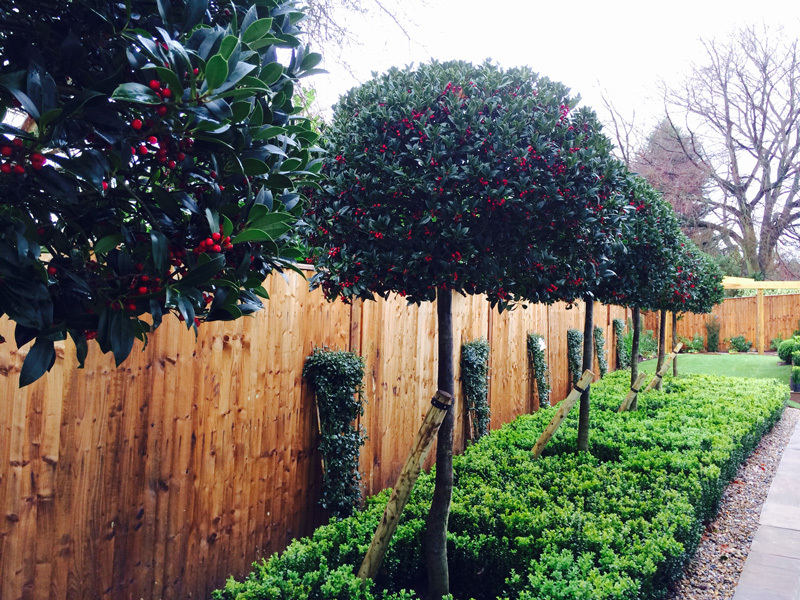 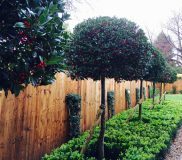 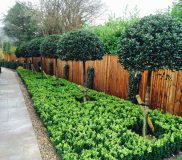 We have then planted 6 x mature standard Ilex ‘Nellie Stevens’ underplanted with Alium ‘Purple Sensation’ and Box ‘Sea’ beneath to the side of the property. 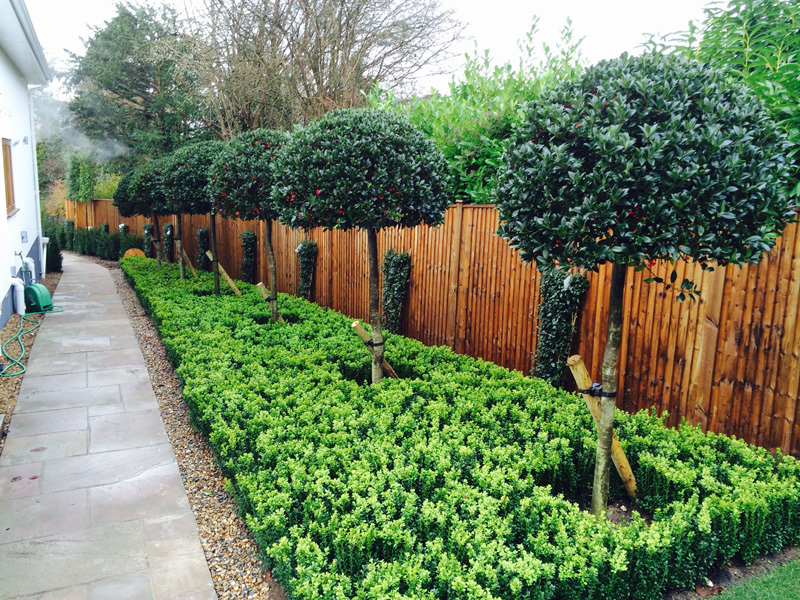 Against the fence are Ceanothus ‘Autumn Blue’ on frames, underplanted with fragrant Narcissus ‘Winston Churchill’. 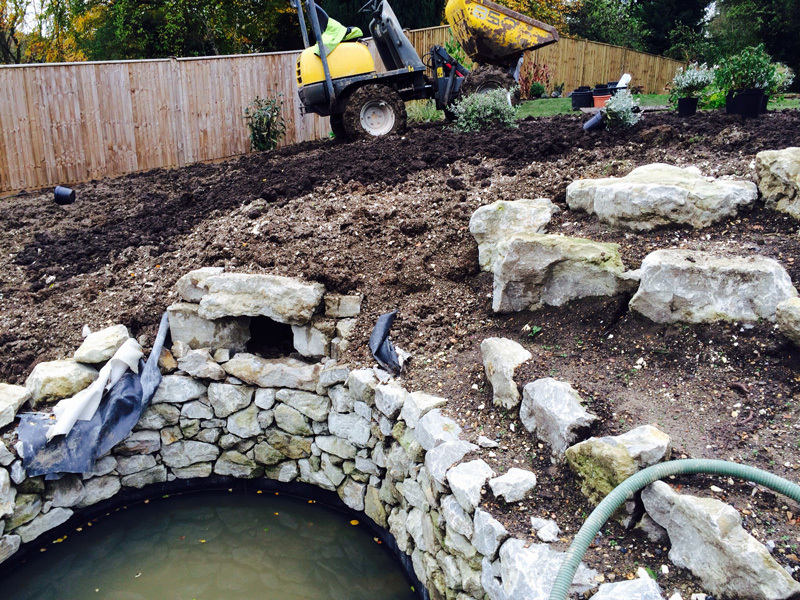 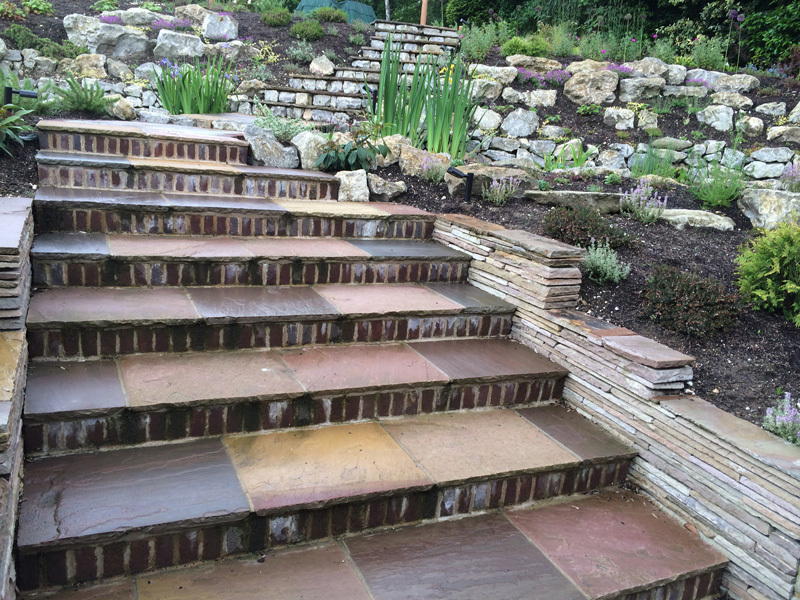 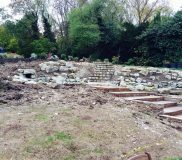 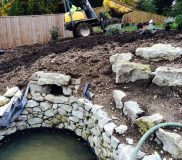 We used around 15 tonnes of ragstone for the rockery gardens and a waterfall into the lower pond. 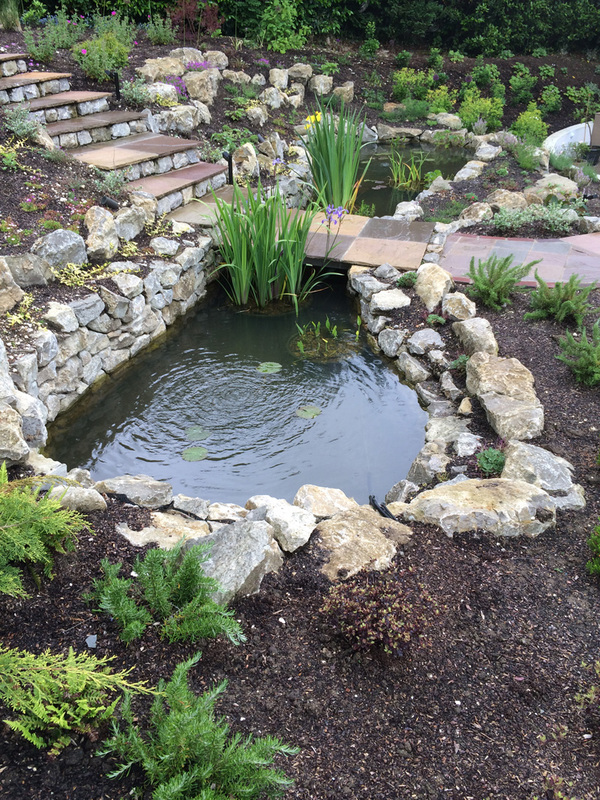 The pond is encased within a rubber liner. 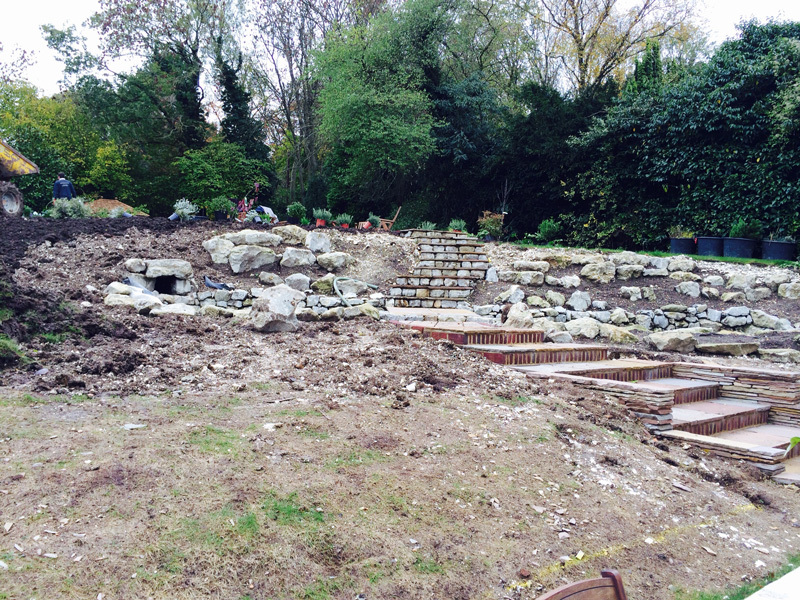 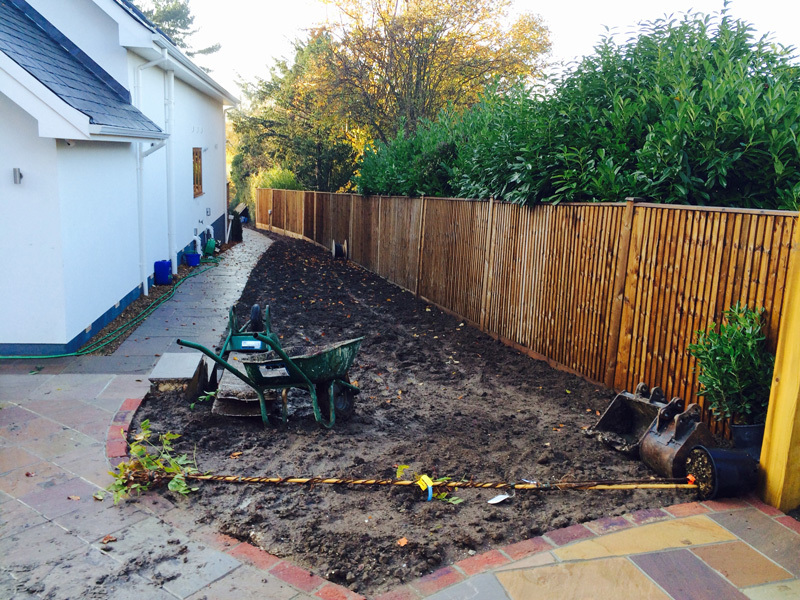 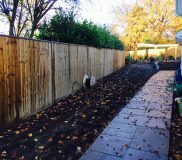 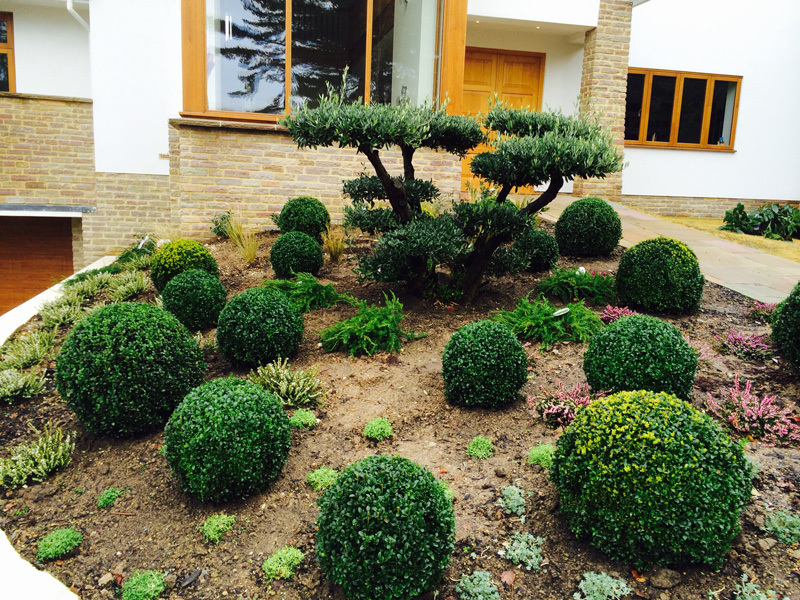 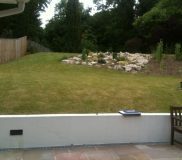 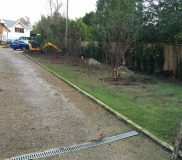 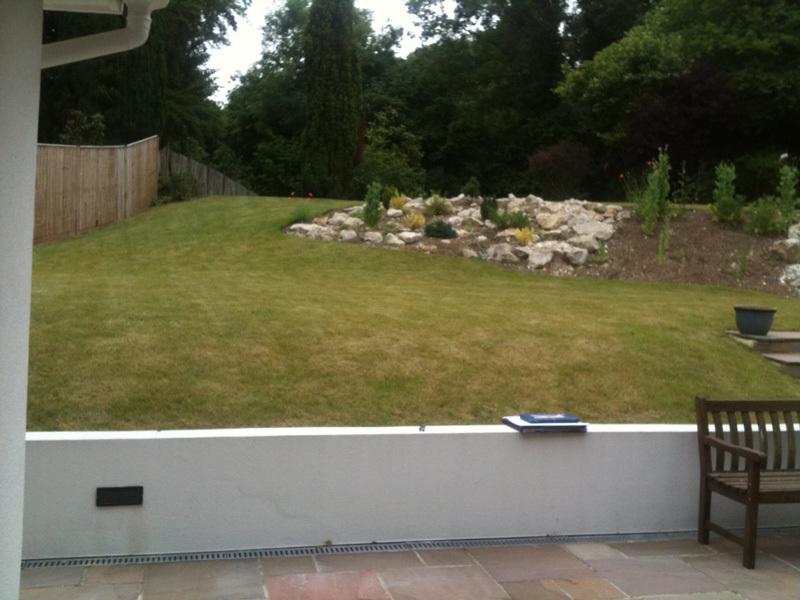 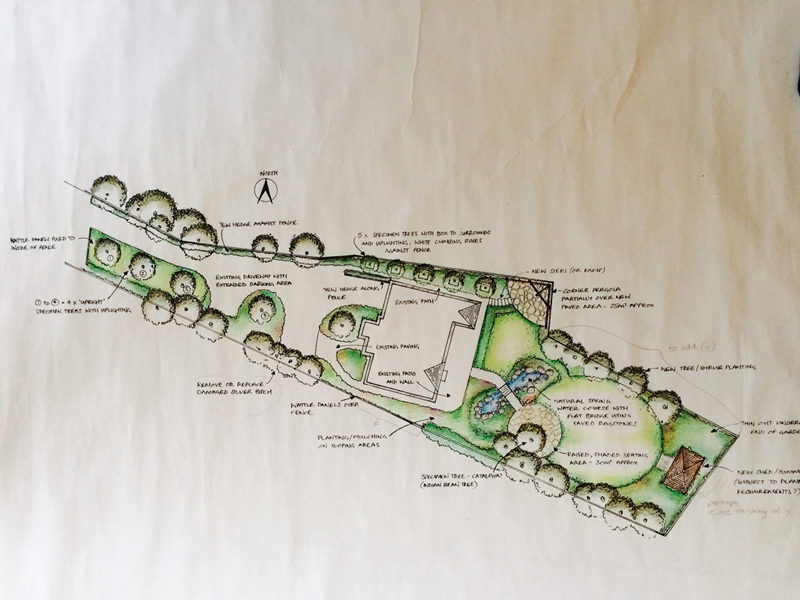 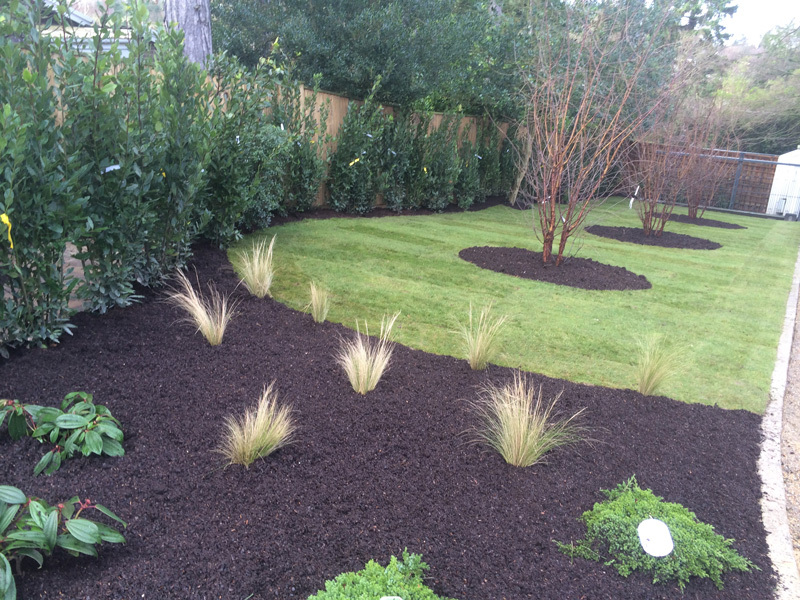 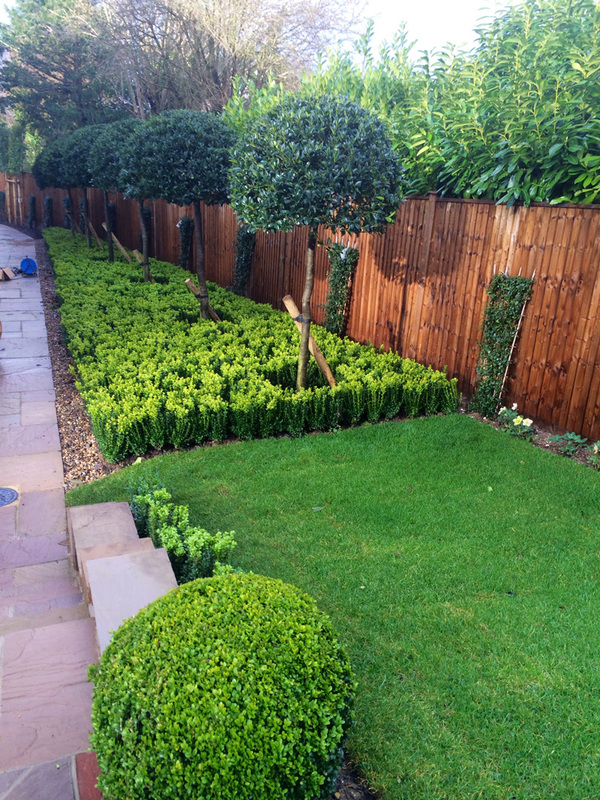 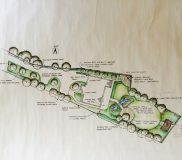 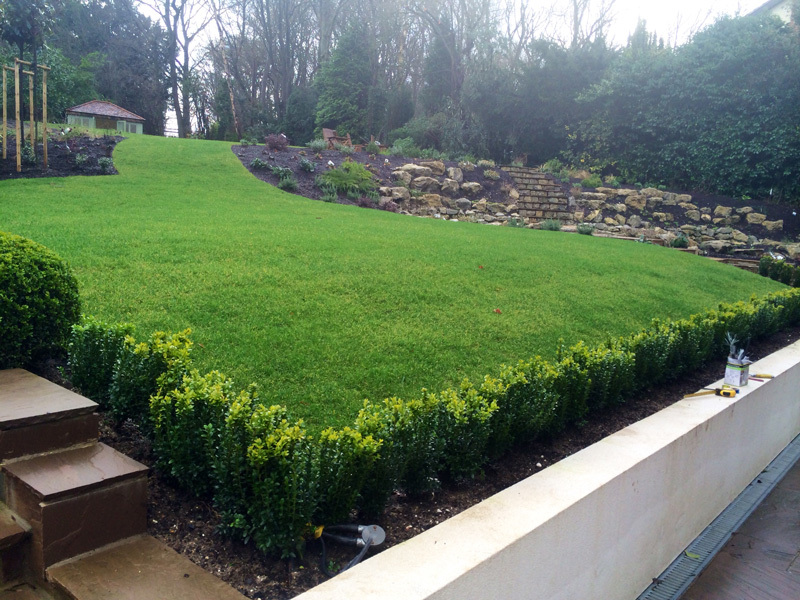 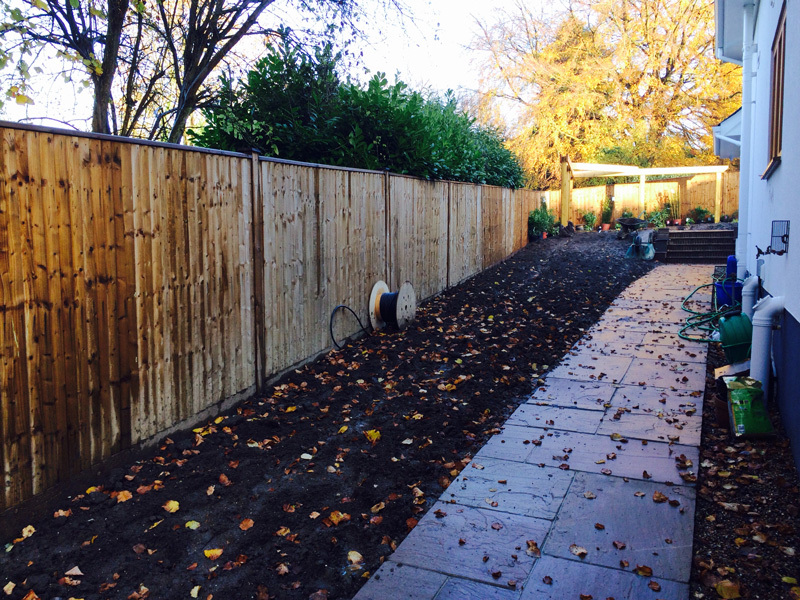 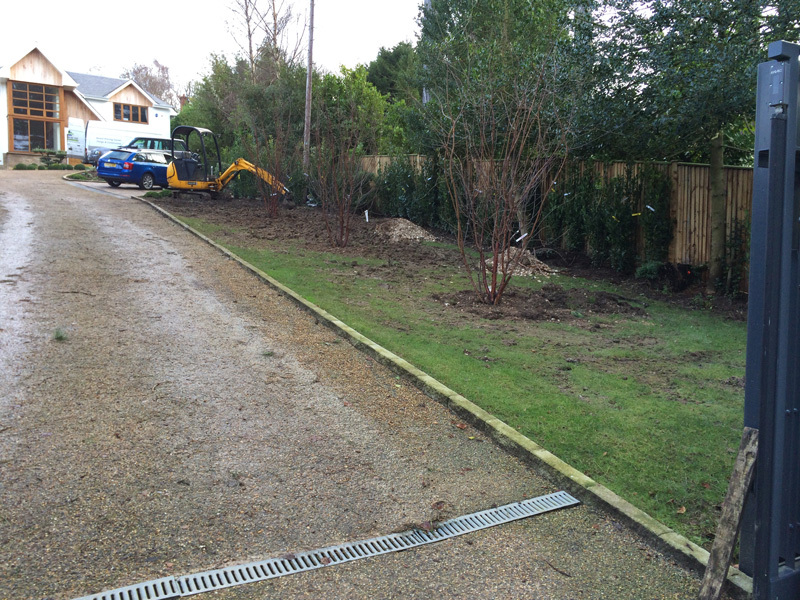 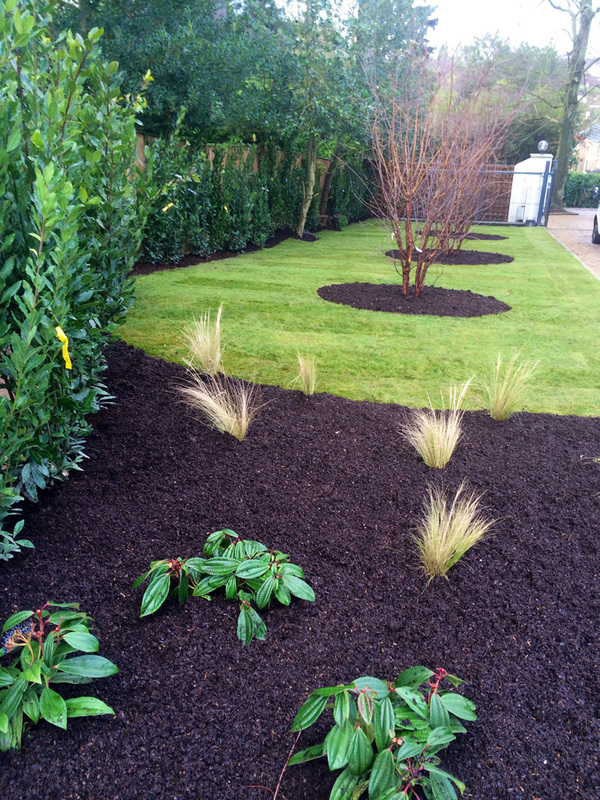 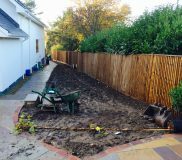 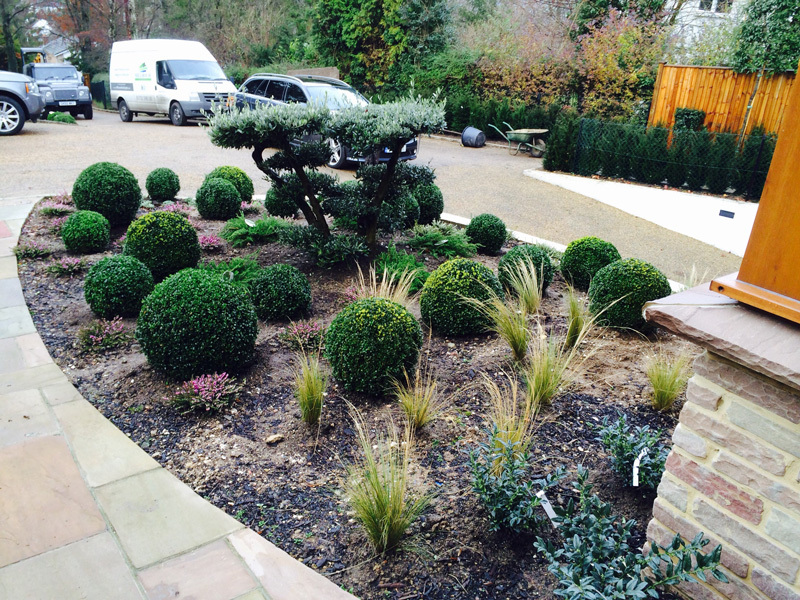 Be sure to follow the ongoing developments with this exciting garden design in Kent.